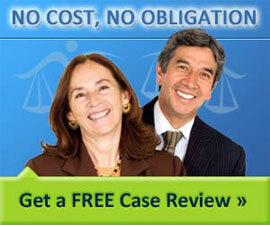 In order to obtain a divorce, you must establish a reason or "grounds" for your divorce. There are generally two grounds provided by state laws for dissolving a marriage - fault-based divorce and no-fault divorce. State law varies with regard to which (or both) apply and a chart listed below indicates the law of each state. If state law allows a "no-fault divorce" then one only needs to state that the marriage has collapsed and there is no need to prove which party is at fault for the failure of the marriage. A common no fault divorce claim is "irreconcilable differences." However, if state law requires grounds based upon fault, then it is required to provide a reason for the marital collapse and also prove that the other spouse was at fault. Common grounds for fault based divorce claims include adultery, abandonment, imprisonment, cruelty and abuse. Most states have both fault and no fault divorce and, at the time of the update of this article, all fifty U.S. states have some type of no fault divorce option. Some states also offer a separation-based option where living apart or separated for a period of time will qualify a spouse for divorce. As state law will change over time, it is important to confirm the law in your state at the time of your filing for divorce.